The majority of Americans may be focused on the start of the NFL season, and the upcoming MLB playoffs (Go Cubs, Go! 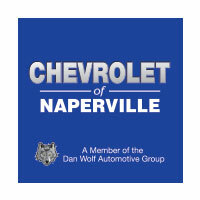 ), but here in Naperville, IL, we are focusing our attention on local high school athletes, thanks to NCTV17 and Chevrolet of Naperville. Every month, the Naperville Community Television Station, NCTV17, selects exceptional moments in local sports for YOU, the viewer, to vote on. Sponsored by Chevrolet of Naperville, elite athletes at Naperville high schools are highlighted for their talent, and dedication to the local sporting community. The first six of these videos has been posted on the NCTV17 website, and voting is currently open for the first official “Play of the Month” for this fall. Every week, the NCTV17 station choses one play of the week from a local high school athlete, and showcases it on the air for viewers to check out. Every month, the plays of the week are posted on the local TV station’s website, for people to vote on their favorite. Each Play of the Week clip is less than one minute in length, making it quick and easy for viewers to check out and vote as they see fit. Show your hometown pride, by voting for the play of the week you find most impressive, right on the NCTV17 website. Each of the six Naperville high schools are represented, so whether you are a Huskie, a Wildcat, or a Redhawk, get online and support your local high school athlete for their chance to be featured as the Play of the Month on a NCTV17 broadcast. Chevrolet of Naperville is honored to be sponsoring this local contest, which has been taking place since 2012. We are proud to be able to contribute to the support and encouragement of the talented young athletes here in our hometown of Naperville, IL, alongside of Naperville Community Television. This non-profit local TV station has been dedicated to telling stories about area residents that help grow our community, and connect one another in a meaningful way, for over thirty years. Area residents are encouraged to support our local athletes, and the high school programs that allow them to grow in their character and athleticism, by casting votes for the Play of the Week on the NCTV17 website. Chevrolet of Naperville wants to remind you, that only one vote per device, per day, is allowed. Naperville Sports Weekly at NCTV17, will announce the winner at the end of the week, on their live broadcast as well as online. Whether you are a golf, swimming, football, soccer, basketball, gymnastics, hockey, baseball, or tennis fan – you will find your favorite sport highlighted on NCTV17’s Play of the Week, along with outstanding young athletes who are committed to their sport and the community of Naperville. NCTV17 and Chevrolet of Naperville are honored to help the community of Naperville discover first hand, the incredible talent and athleticism that exists right here in our hometown. Head over to the NCTV17 website today, and be a part of something great.